Corbin Farms Winery was founded in 2005, and is located in Calera, Alabama. Since 2017, the winery has been owned and managed by the Corbin family. Deeply rooted in the Birmingham, AL area; the Corbin’s are dedicated to providing premium quality products and memorable experiences for customers both local and widespread. Gary and Donna Corbin are our owners, both of whom are passionate about positive company and community culture. Gary, a former US Army Ranger who was injured on active duty and honorably discharged, has spent most of his career in healthcare and business compliance. Donna retired from her post in the US Federal Government in 2008, most recently serving in the department of Mine Safety and Health. At Corbin Farms our focus is on producing vinifera wines including Cabernet Sauvignon, Merlot, Pinot Noir and others. We partner with top-notch American vineyards in key appellations to bring the highest quality grapes to Alabama where all the wines are produced. We also offer a selection of local Alabama fruit wines including muscadine, peach, pear and several others. Our goal is to provide unique, memorable experiences. We hold customer service in the highest regard, we are here to serve you! Passed down from one generation to the next, winemaking has long been a Southern family tradition. We’re proud to share our family heritage with anyone and everyone that stops by the winery. Enjoy a tour and tasting as we show you what Southern-style wines are all about. The Patrick Family began planting grape vines and exploring wine making in Shelby County in 2001. A long time Shelby County Family, the Patrick’s converted a portion of their 24 acre country estate into a working vineyard with a winemaking cellar and public tasting room. 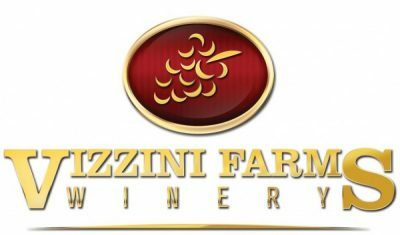 In 2005 they formalized as “Ozan Vineyard & Cellars” becoming the 2nd Shelby County winery operation and began producing the 2005 vintage from grapes grown on the estate and from fresh grapes supplied from East Coast vineyards. The vintage includes: Vidal, Chardonnay, Cabernet Sauvignon and “Norton” a native American red grape grown at Ozan. The 2006 Vintage includes Sangiovese, Peach and Merlot We invite you to stop by, enjoy the setting and taste our wine. Cheers!